Welcome to Tewkesbury Horse Riding School…..
As a small riding school we pride ourselves on reliability, friendliness and opportunity. We have a range of horses and ponies for everyone and an indoor and outdoor school. 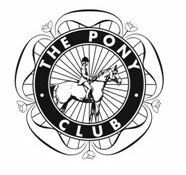 We are also a Pony Club Centre with meets every month. The riding school has an indoor arena for hire for small clinics. Ample trailer and lorry parking available. Please see Tewkesbury Riding School’s Facebook page for the latest dates and information.